Even without our prompting, we notice every year that our clinic gets very busy during these transitions. 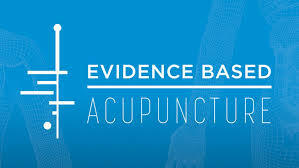 We love taking care of the people we've been seeing over the years, and really like to emphasize the value of using acupuncture as preventative medicine-- to manage stress, keep your immune system healthy, and address symptoms before things get too haywire! We hope you will look ahead at your schedule and book a session if we haven't seen you in a while. It's also the perfect time to try acupuncture if you're new to our practice. Enjoy those buds and flowers as they start to appear! There are also dietary principles that can apply broadly across many styles of diet. How we eat is the beginning of the digestive process. Eating on the run is not the same as sitting with your food and savoring your meal. The art of taking time with your food to slowly appreciate its smell and color activates saliva and sends signals to the gut to prepare for digestion. I observed the value of this process with my nephew at a birthday party.Once the commercial cake came out and he sat down and began to savor it. Suddenly, he pushed it away in disgust and said, “Tastes like chemical.” As a child who still mindfully tastes his food, he was aware of the difference between Nonna's broccoli rabe and homemade sausage, and the taste of processed junk. Taking time with each portion, he was able to listen to what his taste buds were telling him. Refined sugars and processed foods only burden our system. How can the body adequately take care of a virus, parasite or any other stressor if it has to constantly use its energy to effectively break down substances that we as a species are not used to? By that measure, we must be careful of foods that have been exposed to pesticides, herbicides, antibiotics and chemicals. Choosing organic will help to reduce these toxins in your food supply as well as what contaminates our farmworkers and shared environment. Variety is also important. No one food contains all the nutrients your body needs. If your eyes feast on the spectrum of colors represented in your diet and on your plate, your cells will be feasting as well. And just as the fading chlorophyll of fall leaves reveals the previously hidden colors, know that any green food contains within it a whole spectrum of colors (healing carotenes and antioxidants) as well. But it's not just about the plants; make sure you vary your other foods in order to access the broad variety of amino acids, minerals, fibers, organic acids, and vitamins. Time and season adds another dimension to diet. Food comes at its proper time and should be eaten at its proper time. Try to eat in-season and as local as possible. Visit Japan and eat fish, but perhaps don't go to the desert of Dubai for sushi. Modern technology has made it possible to eat watermelons in February, but it doesn’t mean you should. Natural ways of preserving those foods for a later date traditionally involved some type of fermentation that has the bonus of aiding digestion and adding probiotics to the diet.